KH: The Final Stained Glass. 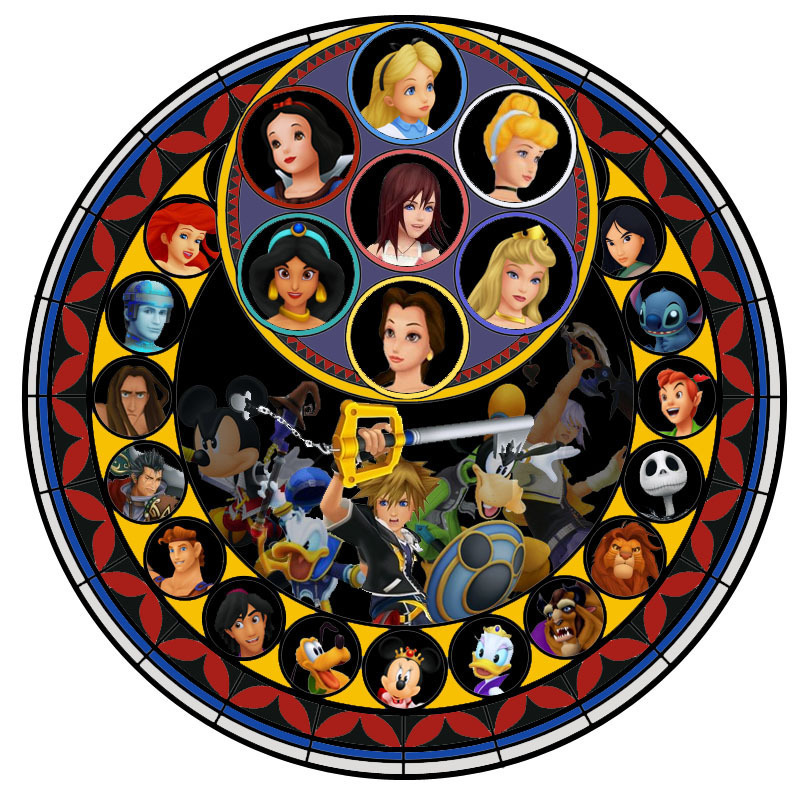 I made my own Kingdom cœur, coeur Stained Glass.This Glass is Sora's. It shows the allies and Friends he made during his adventure, the 7 Princesses of cœur, coeur and the Glass has his colour scheme.I know there are white gaps, but I'm lazy and tired to fill th. HD Wallpaper and background images in the Kingdom Hearts club tagged: sora kingdom hearts kh2 allies disney. This Kingdom Hearts photo contains roue de la roulette, roue, roulette, and roulette wheel.